Art in Action was a 2-day event hosted by Mack’s Apples in Londonderry, NH. 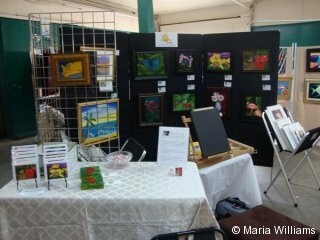 Twenty-six local artists set up booths to exhibit, sell, and create their fine art. I had 25 pieces of original artwork on display, featuring a selection of floral, seascape, and landscape paintings. Like most of my work, these pieces were all inspired by nature and my traveling experiences. In May of 2011, we were very excited to visit the Harkness State Park in Connecticut. 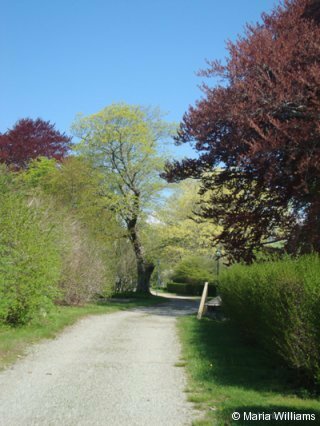 The park and botanical gardens are made up of a sprawling 230 acres located on the Long Island Sound. It was a gorgeous sunny morning in spring, and one of the most peaceful and beautiful places I’ve visited. It’s surrounded by trees bursting with color, green grass, vibrant dandelions and plenty of seating areas. 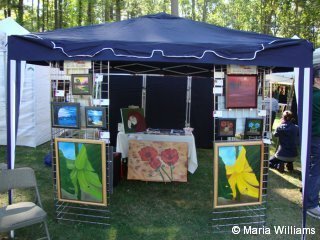 On September 11, 2010, I was able to participate in a juried art show called Art on the Common. Held at the Londonderry Town Common in Londonderry, NH, the exhibit featured more than 25 local NH artists. It was a great chance for locals and tourists to find art that spoke to them, and to get to know more about the artist community in New Hampshire. 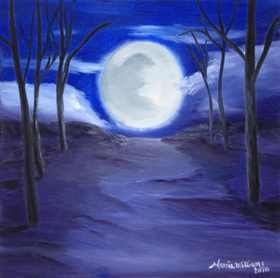 My name is Maria Williams and I am an artist who creates paintings that are inspired by the natural beauty around me. This is my place to talk about my artwork, to share the events and travels that influence my paintings, and to offer tips that other artists may find helpful.You can also stay up to date on upcoming events and exhibitions, read highlights from previous events, and learn more about the places and things that inspire me.